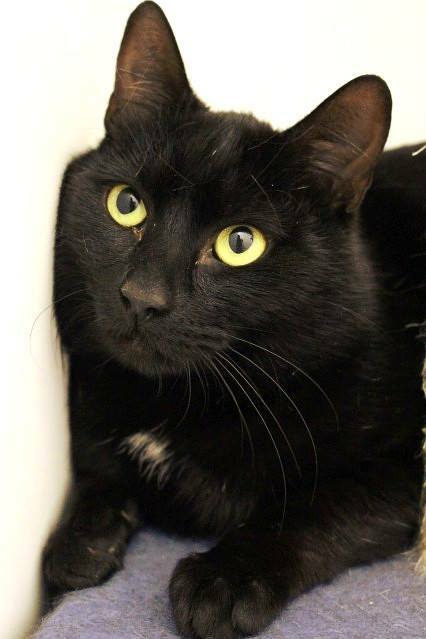 Mitch is about 3 years old and was surrendered to CPL with his mother Daisy and her 5 kittens (already adopted) because his owner could not continue with their care. Mitch is sweet but very shy. He is happy and friendly with staff but tends to hide when visitors arrive. He will take time to settle so he may need to be kept indoors for an extended period when first adopted. He will suit a quiet adult home and an understanding new owner who has the time and patience to build his confidence.